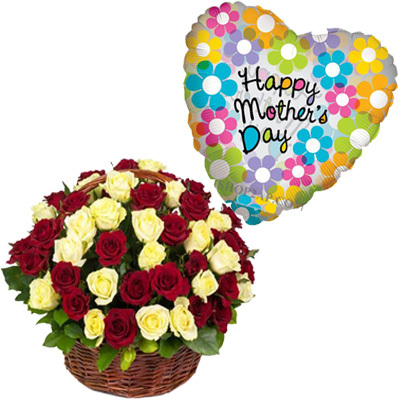 Convey your wishes through 50 beautiful red & yellow roses basket along with a imported 18 inch Foiled HAPPY MOTHER'S DAY Balloon delivered any time you preferred to Your Mom. It would be the absolute essence of grand romantic gesture. Send your love to make them much more special in your life.